Famous Egyptian singer Medhat Saleh will give a concert at the Cairo Opera House's Main Hall on Wednesday at 8pm, accompanied by conductor and pianist Amr Selim and many other well-known musicians. "I am always delighted to perform at the Cairo Opera House. I consider it my home. I am always excited to meet its tasteful crowd," Saleh stated ahead of the concert. Saleh, 58, will perform many songs from his repertoire including Kawkab Tany, Wala Teswa Domo' and El-Donia Alemetny, alongside some movie themes including from the films Mafia, El-Beliatsho and Amir El-Zalam. The concert will consist of two parts, the first of which will see the performance of many classic Arabic songs by the stars of the Opera's Arabic Music Ensemble Ahmed Essam, Yasser Soliman, Eman Abdel-Ghany and Hanan Essam. 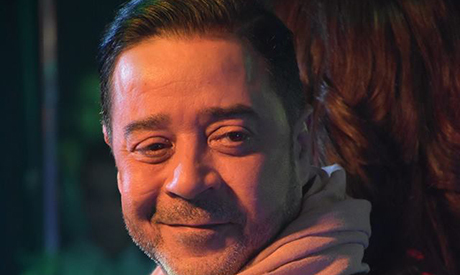 Saleh has had a long and successful career with over a dozen hit albums in addition to starring as an actor in many famous TV series and plays.